One of the most iconic images of the last century gets a video game homage. 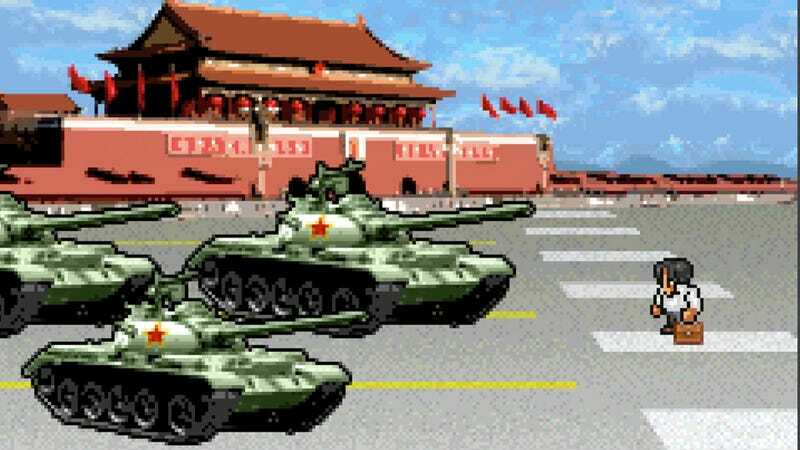 For more info on Tank Man, check out Frontline's excellent documentary. The image was created by Cody Walton, who's an Associate Creative Director for an advertising & PR firm. The name of this work is "The Unknown Rebel".